Twenty bucks here and 30 bucks there may seem like nothing, but have you ever stopped to add up what you spend on drinking in a week? A month? A year? How about in 10 years? If you did, would you still spend the money? The costs associated with regular drinking can be significant, so it’s important to be aware of the price you pay for maintaining this expensive habit. According to the Bureau of Labor Statistics, Americans spend about 1 percent of their gross annual income on alcohol. For the average household, that’s $565 a year, $5,650 in 10 years, or a whopping $22,600 over a 40-year period. It’s worth noting that $565 per year breaks down to about $11 a week. In some cities that will barely buy you one cocktail, so it is very probable your spending exceeds that. But this is one area in which you may not want to be above average. Give yourself an eye-opener today by figuring out just how much of your money goes towards alcohol. A good place to start is by calculating what 1 percent of your annual income is. But you should get more accurate by looking at what you typically spend in one week. Take that figure and find out your monthly and yearly costs, and see if you’re spending considerably more than the average drinker. For a real wake-up call, see what your drinking expenses amount to over 40 or 50 years. If you’re not sure what you spend, use an alcohol spending calculator. After you’ve calculated your alcohol spending and are mindful of the potential long-term costs, consider whether or not that money, or even a portion of it, should be going towards something else — perhaps towards retirement or other financial goals. While drinking provides entertainment and often goes hand-in-hand with being social, you are making a tradeoff each time you plunk down your hard-earned cash for alcohol. If you are living paycheck-to-paycheck, overwhelmed by debt, plagued by low savings, or can’t seem to get around to contributing to retirement, shaving off what you spend on drinking and focusing your dollars on your financial situation will be a wiser use of your money. Let’s go back to the average household income. If $565 were invested over 40 years instead of consumed, that would amount to close to $113,000 (before inflation) based on an annual return of 7 percent. Mojitos every Friday or money in the bank? You decide! This is not to say to spend absolutely nothing on drinking, but rather to be aware of the tradeoffs you are making when you do. Habitual drinking can lead to more severe costs than overspending. If your drinking becomes excessive and irresponsible, then you could potentially face expenses such as increased health care costs, legal fees if charged with DUI, and higher life and car insurance premiums. 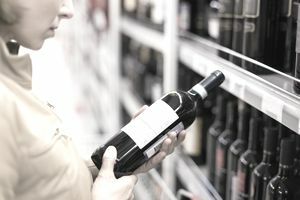 Naturally, if your alcohol consumption is kept to a moderate level then you will not face these costs, but know that if your drinking gets out of control the costs will go well beyond the sticker price of the booze. If calculating what you shell out on drinking made you a little nauseous, follow these tips to help you cut down your spending. Abstinence is one sure way to eliminate the costs of drinking—monetary and otherwise. But if that is not a path you plan to take, a more realistic approach is to strike a healthy balance between your drinking and what you spend on it. Being mindful of the costs and trade-offs associated with alcohol, and remembering that their impact will last far longer than any drink, will help you achieve that balance. What Is a Social Casino?